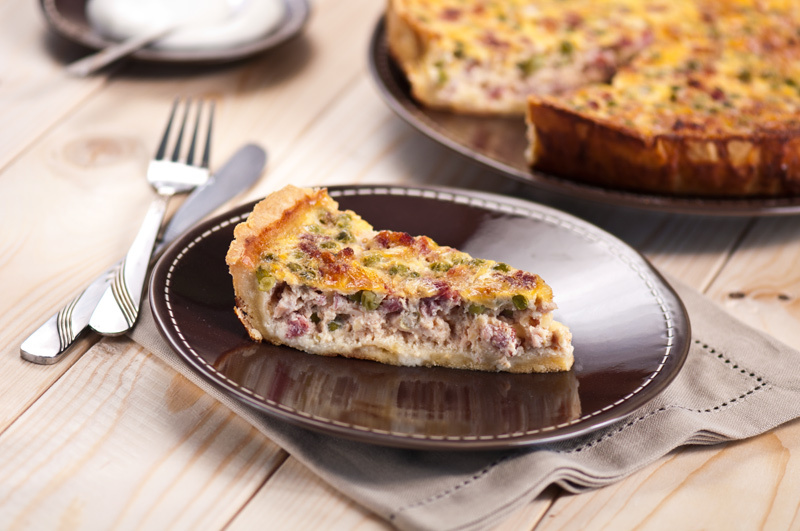 A version of quiche very tasty and quick to make. Bake the crust in the oven at 180ºC for 15-20min. Take out the tart crust to cool and remove the foil and the ceramic pie weights. In a bowl, gently mix the eggs, add milk, cream, bacon, grated cheese, peas, salt and pepper and mix all together. Pour the mixture into the pie crust and put in the oven at 180ºC for 25 min.